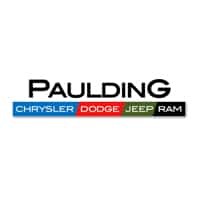 By using this service, you authorize Paulding Chrysler Dodge Jeep Ram, and its affiliates, to contact you by texts/calls which may include marketing and be by autodialer or pre-recorded messages. Consent is not required to purchase goods or services. Only 9 Unlimited Sport S models left in stock! New vehicle pricing includes all offers and incentives. Tax, Title and Tags not included in vehicle prices shown and must be paid by the purchaser. While great effort is made to ensure the accuracy of the information on this site, errors do occur so please verify information with a customer service rep. This is easily done by calling us at (855) 723-0152 or by visiting us at the dealership. Factory MSRP: $40,580 $4,150 off MSRP! Priced below KBB Fair Purchase Price! 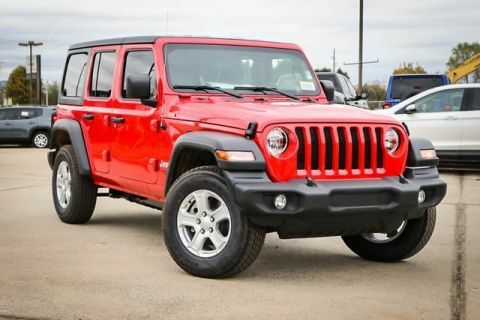 **BLUETOOTH**, **USB PORT**, **PREMIUM WHEELS**, **REMOTE KEYLESS ENTRY w/PANIC ALARM, ***17" WHEELS***, ABS brakes, Compass, Electronic Stability Control, Low tire pressure warning, Traction control. 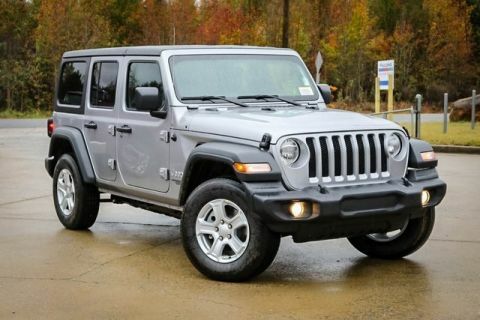 This vehicle includes the following options: Quick Order Package 24S Sport S (Automatic Headlamps, Deep Tint Sunscreen Windows, Front 1-Touch Down Power Windows, Leather Wrapped Steering Wheel, Power Heated Mirrors, Remote Keyless Entry, Security Alarm, Speed Sensitive Power Locks, Sun Visors w/Illuminated Vanity Mirrors, and Wheels: 17" x 7.5" Tech Silver Aluminum), ABS brakes, Compass, Electronic Stability Control, Low tire pressure warning, Traction control, 3.45 Rear Axle Ratio, 4-Wheel Disc Brakes, 8 Speakers, Air Conditioning, AM/FM radio, Black 3-Piece Hard Top, Brake assist, Cloth Low-Back Bucket Seats, Delay-off headlights, Driver door bin, Driver vanity mirror, Dual front impact airbags, Dual front side impact airbags, Freedom Panel Storage Bag, Front anti-roll bar, Front Bucket Seats, Front Center Armrest w/Storage, Front fog lights, Front reading lights, Integrated roll-over protection, No Soft Top, Non-Lock Fuel Cap w/o Discriminator, Normal Duty Suspension, Occupant sensing airbag, Outside temperature display, Passenger door bin, Passenger vanity mirror, Power steering, Radio data system, Radio: Uconnect 3 w/5" Display, Radio: Uconnect 4 w/7" Display, Rear anti-roll bar, Rear reading lights, Rear Window Defroster, Rear Window Wiper/Washer, Speed control, Split folding rear seat, Steering wheel mounted audio controls, Tachometer, Telescoping steering wheel, Tilt steering wheel, Trip computer, and Variably intermittent wipers. We offer Market Based Pricing, so please call to check on the availability of this vehicle. 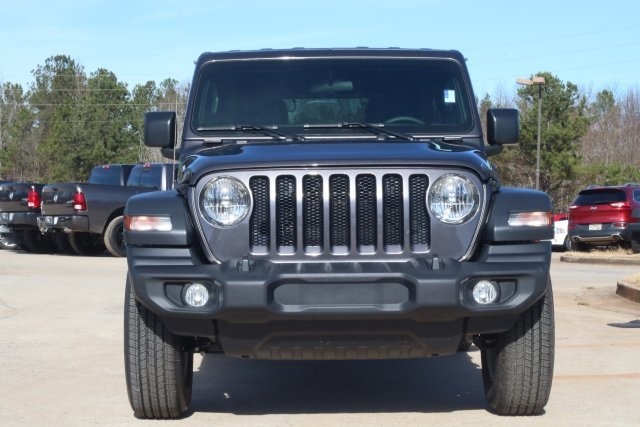 "We'll buy your vehicle even if you don't buy ours"
Here at Paulding Chrysler Dodge Jeep Ram, we have a strong and committed sales staff with many years of experience satisfying our customers’ needs from Dallas to Marietta. All greater Atlanta drivers should feel free to browse our new and used inventory online, request more information about vehicles, set up a test drive or inquire about financing! 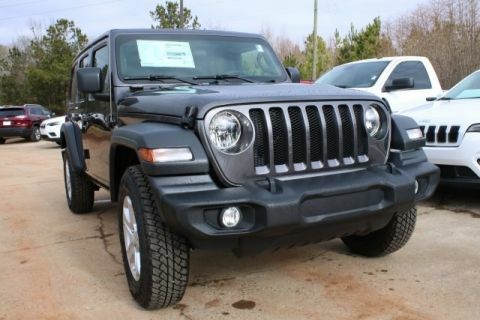 Paulding Chrysler Dodge Jeep Ram	33.9192539, -84.76663070000001.